October 12 2015, 12:21 p.m.
Today, October 12, is Columbus Day. Every year it’s officially the second Monday in October; this year it falls on the exact anniversary of the Niña, Pinta and Santa María’s arrival in the Bahamas 523 years ago. In fact, European colonialism involved a level of brutality comparable in every way to that of 20th-century fascism and communism, and it started with Columbus himself. Estimates of the number of people living on the island of Hispaniola when Columbus established settlements range from 250,000 to several million. Within 30 years of his arrival, 80 to 90 percent of them were dead due to disease, war and enslavement, in what another Harvard professor cheerily called “complete genocide.” Contemporary accounts of the Spaniards’ berserk cruelty really have to be read to be believed. Formally, of course, European colonialism largely ended in the 1940s, ’50s and ’60s. Yet informally, it has — behind the mask of what Pope Francis recently called “new forms of colonialism” — continued with surprising success. Thus European colonialism is the central fact of politics on earth. And precisely because of that, it is almost never part of any American discussion of politics. Anthropologists call this phenomenon “social silence” — meaning that in most human societies, the subjects that are core to how the societies function are exactly the ones that are never mentioned. If we maintain the social silence around colonialism, our past and present will always be bewildering, like the above list. But if we break the silence, and talk about what truly matters, the confusing swirl of war and conflict can suddenly makes sense. No one knows for certain where the dollar sign originated. 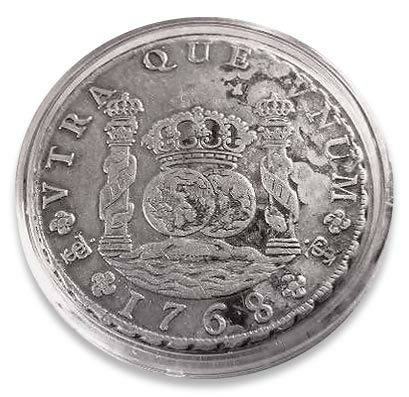 But there’s suggestive evidence that it was derived from Spanish silver coins minted in the Bolivian city of Potosí: Both the right pillar and the mint mark on such coins bear a strong resemblance to the dollar sign. This is doubly plausible because at the time the U.S. was founded, Potosí was, in the U.S. and Europe, a symbol of enormous wealth. The city grew up around Cerro Rico, a mountain from which Spain, starting in 1545, had extracted tens of thousands of tons of silver that financed its empire. But that’s only what Potosí meant for white people. In the process of stealing Bolivia’s silver, Spain worked perhaps 8 million indigenous Bolivians and enslaved Africans to death. Potosí was therefore the two faces of colonialism in their purest form: For the right people in the U.S. and Europe, it signified staggering riches; for everyone else, it meant theft and death on an industrial scale. Similarly, tens of millions of the indigenous population of the Americas died after the arrival of Columbus, mostly from disease, and Spain, Portugal, France and the U.K. combined with the U.S. to steal the entire hemisphere. The Atlantic slave trade killed millions of Africans and stole the freedom of tens of millions more. King Leopold II of Belgium personally owned the Congo for several decades, during which he killed perhaps 10 million Congolese in the process of stealing the nation’s rubber. In the late 19th century, droughts combined with the imposition of capitalism in India, China, Brazil, and elsewhere to starve tens of millions, even as food grown by the countries was shipped back to the imperial centers. Thanks to our social silence, this extraordinarily ugly history is largely absent from European and American culture — and even where it exists, few recognize it. For instance, almost no one watching Tom Cruise in War of the Worlds realized the original book by H.G. Wells was an allegory for British colonialism, with the horrifying aliens standing in for the British. Nor did most Americans understand that Avatar was, according to James Cameron, about the Vietnam and Iraq wars as well as colonialism in general, with the bad guys representing white people. When the subject is touched upon non-allegorically, the result is almost always focused on the effects of colonialism on white Americans or Europeans. Apocalypse Now was inspired by the Joseph Conrad novel Heart of Darkness, which in turn is about the Belgian colonization of the Congo. But it’s purely about what the Vietnam war does to American men. Likewise, Day of the Jackal is about the fallout of the French colonization of Algeria. But it never addresses what colonization did to Algerians. Instead, it’s about the French right wing’s refusal to accept Charles de Gaulle’s decision to withdraw from Algeria, and their attempt to assassinate him for it. But if European colonization was so appalling that we can’t acknowledge what happened in our culture, how did the people carrying it out justify it to themselves at the time? The through line in the entire history of colonization is that we were doing this to the rest of the world for their own good. Thus the rest of the world didn’t have to look at the details to know what it meant in 2000 when the entire U.S. media declared Israel had made an astonishingly “generous offer” to the Palestinians at Camp David. They realized from long experience this meant that Israel was beating the crap out of them. This belief in our own beneficence has endured even when colonialism took the form of direct armed robbery. For instance, in 1861 Mexico was near bankruptcy after the 1846 invasion by the U.S. and a subsequent civil war. When the Mexican government temporarily stopped interest payments on its foreign debts, France, one of its main creditors, decided that the Mexican people were desperate for strong leadership and invaded. While France eventually won the war and occupied Mexico for six years, the Mexican victory at the Battle of Puebla on May 5, 1862, is now celebrated every year as Cinco de Mayo. Before we had investment rules and ISDS international agreements, unlawful behavior by countries that targeted foreign investors tended either to go unaddressed or escalate into conflict between countries. In fact, early in our history, the U.S. had to deploy “gunboat diplomacy,” or military intervention, to protect private American commercial interests. ISDS is a more peaceful, better way to resolve trade conflicts between countries. And just as history would predict, commentators like New York Times columnist David Brooks consider the TPP to be a “humanitarian issue” that Congress must approve to help our brothers and sisters in the third world. In fact, while it’s never been reported anywhere, Mandela was so committed to trying to stop the Iraq war that he agreed to come to New York City and address the United Nations. (I was aware of the negotiations because I helped raise money to cover the cost of Mandela’s travel.) He planned to speak essentially as the acknowledged leader of all the countries who have suffered from European colonialism; i.e., everyone who’s not white. The structure of the U.N. Security Council is, of course, a relic of colonialism. There are 15 members, but 10 rotate and have only one regular vote. The five permanent members include the U.K. and France for no reason except colonialism, and all five can stop anything with their veto. Mandela was going to tell the 10 rotating members: You must be the voice of the rest of the world, all of us who have no vote on what happens. It would have been a moment never seen before in history, with unpredictable consequences. Unfortunately, internal South African politics prevented it from happening. The same anti-colonial dynamic that almost brought Mandela to the U.N. is at play whenever the U.N. votes on Israel. The near-unanimity on such votes — sometimes the U.S. and Israel versus every other country on earth — is generally seen in the U.S. as either inexplicable, or completely explicable as worldwide anti-Semitism. But what brings, say, South Koreans out to protest the 2010 Israeli attack on the first Gaza flotilla isn’t anti-Semitism, nor is it any particular history with Palestinians. It’s the near-universal history with and deep fear of the European-style colonialism carried out by Israel. The final and most important thing to understand about colonialism is that Hitlerian fascism was not something separate from colonialism, but in a real sense its logical endpoint. My grandfather was a historian who spent his whole life writing about the Spanish conquest, and during Hitler’s rise he perceived the extremity of Nazi racism as the culmination of the colonial tendency, developed over hundreds of years, to define huge swaths of the world as subhumans who could justly be exterminated. All those who have the feeling for Europe can join in our work. Consider all that, and consider what it means about us that there is still a professional football team called the Washington Redskins. We know what it would mean about Germany if they had a sports team called the Berlin Kikes. This is why I say October 12, 1492, is the most important day in history, and October 12 is the most important day of every year. We shouldn’t celebrate it. But if we want to comprehend the world — and we should, since our lives depend on it — we have to understand it.